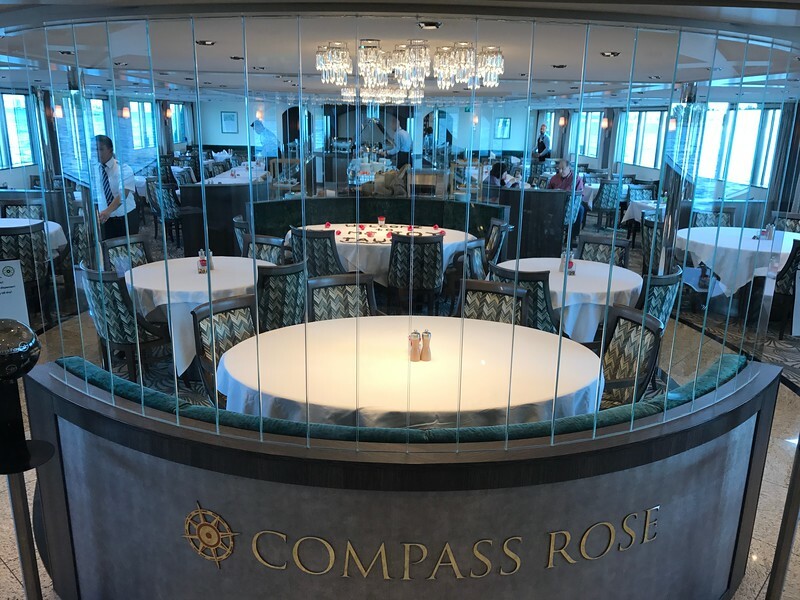 Here’s a peek into the “Compass Rose” main dining room… this is where you’ll be enjoying most of your meals each day… they offer Buffett breakfast & lunch here and “A-La-Carte” dinner. FYI, their dinner at night is “Open Dining” where they open the restaurant from 6:30pm-8:30pm and you can dine WHENEVER you want!! If it seems like we’re making a BIG deal out of this, we are… this was our 14th River Cruise and the first one with open dining… the rest of the lines have so many guests onboard (Tauck puts 30-60 less guests on the same size ships compared to the other lines) that everybody HAS to eat at the same time due to the small galley they need to make all appies at the same time, all soups at the same time, all entrees at the same time and all desserts at the same time.